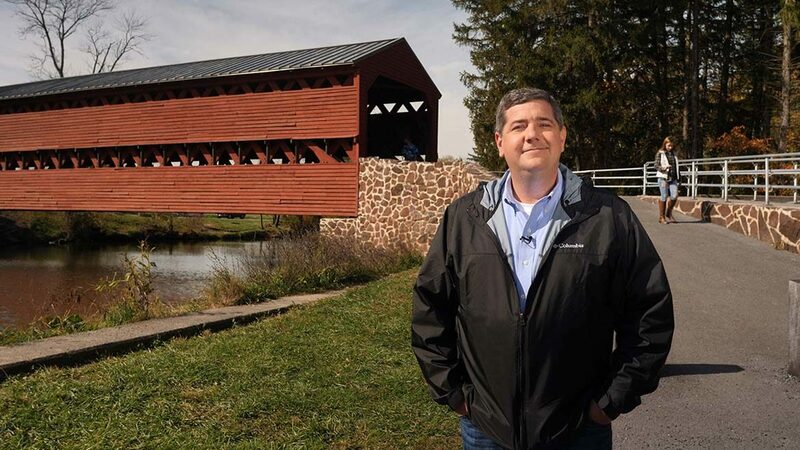 Erik Hastings takes viewers to Gettysburg, Pa., in "Beyond Your Backyard," one of the travelogue series featured on Blue Ridge Streaming. While PBS has begun to enter the crowded livestreaming market with limited same-day programming and a separate branded Amazon channel, a Virginia station has already launched its own 24-hour stream. Blue Ridge PBS in Roanoke has been operating the Blue Ridge Streaming channel on YouTube, Amazon Fire and its own app for a little over a year. Now in an extended beta period, the channel programs a semi-randomized selection of the station’s locally produced content, most of it archival material dating as far back as the 1970s. “I see ourselves right now as pioneers,” said William Anderson, Blue Ridge PBS executive VP. He claims the station is the only PBS member to provide a dedicated 24-hour stream. Blue Ridge Streaming stitches together programming from several different digital “buckets” into a constant stream, Anderson said. It draws from hundreds of hours of local programs in its archives, such as the series Cookin’ Cheap, original documentaries on the Civil War and travel docuseries. Underwriting messages and manually uploaded local “crawl” content, providing sports scores and announcing local birthdays, form banner ads around the stream. Interstitials that display weather reports and other local announcements plug holes between programs. When the channel streams archival content, it frames the program within an old-fashioned analog TV screen. The station is forming partnerships with local nonprofits to present their content on the stream. Under an agreement completed Monday, the Birthplace of Country Music Museum in nearby Bristol, Va., will draw from its own archival programming, including concerts and variety shows, to run at a set time every week. The station will not charge the nonprofit museum to present its programs on the channel, but Blue Ridge PBS reserves the right to sell underwriting and advertising for its time slot, according to Anderson. The partners are also discussing working together to develop original programs for broadcast. A similar partnership is in the works with the Southwest Virginia Cultural Center & Marketplace in Abington, Va.
Because internet streaming falls outside FCC regulations for broadcast TV, Anderson has been able to sell commercials for Blue Ridge Streaming. Indeed, demand from local underwriters sparked the idea for the service. In conversations with underwriters such as the Roanoke outpost of Oregon-based Deschutes Brewery, Anderson realized that local businesses were looking for digital marketing opportunities in addition to broadcast sponsorships. Prior to 2018, Blue Ridge PBS had almost no digital video content that could be offered to underwriters, Anderson said. It had a few video clips on its own website and no original programs on YouTube. Anderson realized that the station was losing underwriting sales, and set out to build a digital presence that could be marketed to local sponsors. So Blue Ridge PBS contracted with Blue Channel Digital, a Maryland-based media software company, to develop and monitor Blue Ridge Streaming. Blue Channel Digital took on the work as a pilot project and didn’t charge the the station for its services, according to Anderson. The company has agreed to continue maintaining the stream indefinitely at no charge. YouTube was a natural choice for hosting the channel, because it doesn’t charge to set up a streaming channel on its platform. The channel can be accessed by any device with a YouTube app. It is also accessible through Roanoke’s local cable operator Cox Communications, which offers consumers a set-top box “smart TV” setup with YouTube support. Roku charges a monthly fee to maintain a separate channel on its platform, but Anderson said he is considering paying it so Blue Ridge PBS can move into the Roku space. Digital metrics are middling so far, with only 300 subscribers to the YouTube channel and simultaneous viewings topping out in the lower 30s, despite on-air promotion for the stream. But Anderson said underwriters are merely happy to have any digital presence at all. Other metrics are more encouraging: According to Robert Forsyth, president of Blue Channel Digital, average viewing time for Blue Ridge Streaming is around 30 minutes. Viewership spikes when Blue Ridge PBS sends push notifications to notify app users of special programming, such as a marathon of cooking shows. The stream currently requires less than one hour per day of work to maintain within the station. “The budget was my time,” Anderson said. He hopes to invest in programming and equipment for the stream, and would like to allocate funds that would put the channel on par with the station’s other subchannels. 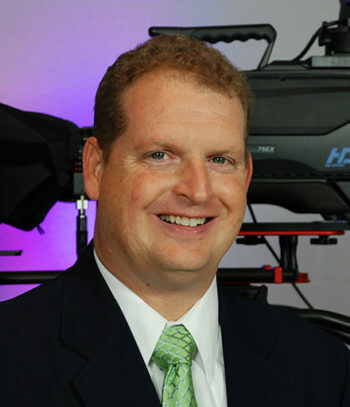 His budget provides about $10,000 annually for programming for multicast channels Create and World, for example. PBS’ logo and national programming are nowhere to be found on Blue Ridge Streaming. “We’ve got a pretty healthy respect for the wall between PBS content and what we’re doing locally,” Forsyth said. Anderson hinted that Blue Ridge Streaming could easily “integrate” with a PBS primetime stream if the network were to offer such an option to member stations in the future. If that opportunity opens up, he’d adapt to PBS branding and remove the commercials. Nice work and kudos to Blue Channel Digital for working with you on this!